Buy LindsayWells a Coffee. ko-fi.com/lindsaywells - Ko-fi ❤️ Where creators get paid by fans, with a 'Buy Me a Coffee' button. 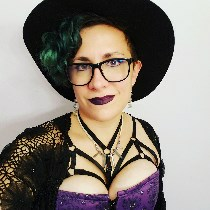 Lindsay is a SFF writer working on her first novel series, the Longbow Adventures: a Firefly meets Indiana Jones steampunk adventure with a Lovecraftian horror streak, cowritten with her husband Michael T Wells. Secured Payments. Support goes to LindsayWells's account. Upgrade LindsayWells to a yearly Gold Membership with a one-time payment.